24753 Vantage Point Terrace Malibu, CA. | MLS# 17251274 | Cormac and Wailani O'Herlihy | Sotheby's International Realty | Luxury Malibu Beach Homes. Behind security gates, very private this beautifully remodeled Malibu Country Estates Mediterranean home offers 7 bedrooms, 5.5 baths. Includes furnishings by Restoration Hardware. Enjoy the pool with stone fire feature & hot tub along with childproof netting. 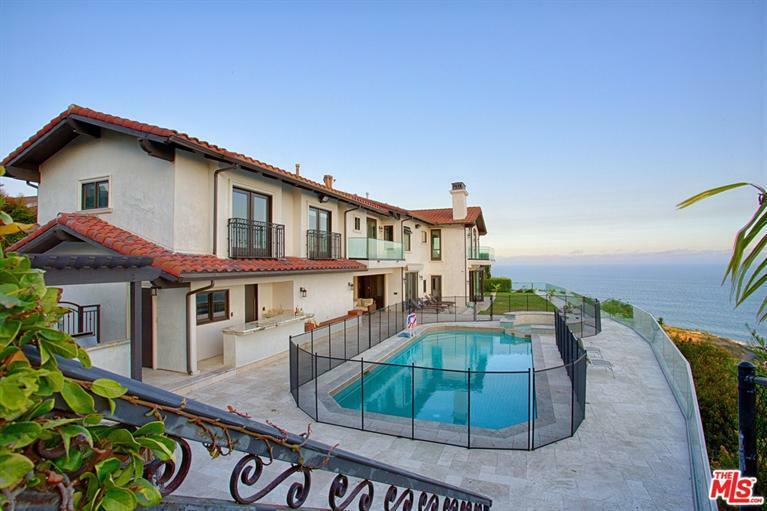 Phenomenal ocean views, terraced gardens, outdoor TV viewing area, outdoor bar and BBQ area. Basketball hoop fruit trees, and fountains along with many sitting areas. There is a separate suite on lower level of house with separate entrance and bathroom for privacy. Grab your bathing suits and pack your bags to this move in ready lease. Tenant may use sound system and security at their cost. Tenant to pay for all utilities. Owner will pay for gardener. Rival in all that Malibu has to offer along with gorgeous views of the ocean and sunsets. 24753 Vantage Point Terrace Malibu CA / MLS# 17-251274 from Sky Blue Media on Vimeo.